We welcome new patients of all ages to Pomerado Cosmetic Dentistry. For those of you who are joining our family of patients, it might seem unusual to be scheduled for a 60-minute new patient visit with our doctor in addition to a 60-minute new patient cleaning appointment with our hygienist. We want you to know that we reserve that amount of time to ensure that we can review your medical history, take your blood pressure, complete your necessary diagnostic digital x-rays, measure your gums, evaluate your TMJ, complete a comprehensive exam, provide an intra-oral camera tour of your mouth, perform an oral cancer screening, provide you correct hygiene instruction, and explain your diagnosis along with possible treatment options. Our goal at Pomerado Cosmetic Dentistry is to take care of your dental needs but to also establish a personal relationship as if you were a member of our family. We encourage you to ask questions regarding any concerns you might have or if you need clarification on any of our proposed treatment. CareCredit® is a dental financing program where you finance 100% of your dental treatment. Upon approval, you can begin dental treatment immediately and conveniently make monthly payments to CareCredit®, interest free over a contracted period of time. CareCredit® can be used for your entire family for ongoing treatment without having to reapply per family member. We would be happy to assist you in the approval process which normally can be completed in 15 minutes or less! Pomerado Cosmetic Dentistry accepts all PPO insurance plans. We are happy to file the paperwork on your behalf and will gladly submit a pre-treatment estimate to your insurance so you know what your total out of pocket expense will be before the completion of your dental treatment. We would like to remind you that your specific policy may be based on a fixed fee schedule which may or may not coincide with our billable fees. Please be aware that dental insurance companies greatly differ in the availability of coverage provided. Please call our office with any insurance questions you may have and to verify coverage. The entire team at Pomerado Cosmetic Dentistry wants to make it as easy and convenient as possible for those who have served our country to obtain quality dental care. That’s one reason why our practice is an official VA Vendor. If you are a military veteran and you have approval from Veterans Affairs to see a dentist off base, your treatment (depending on your coverage limitations) will be covered here at our practice. Please call your VA representative or department and request an approval notice. Once approved, you can come to our office for treatment by any of our experienced dentists. You can also have the VA e-mail your dental records and x-rays to our office at info@pomeradocosmeticdentistry.com to make your first appointment even more convenient. 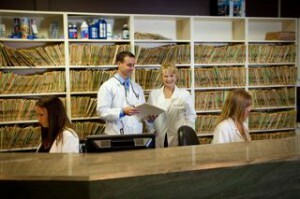 We are very proud to be a VA provider, and we will be happy to answer any questions you may have about our services. Please contact us today for more information. Learn more about dental treatment for military veterans.